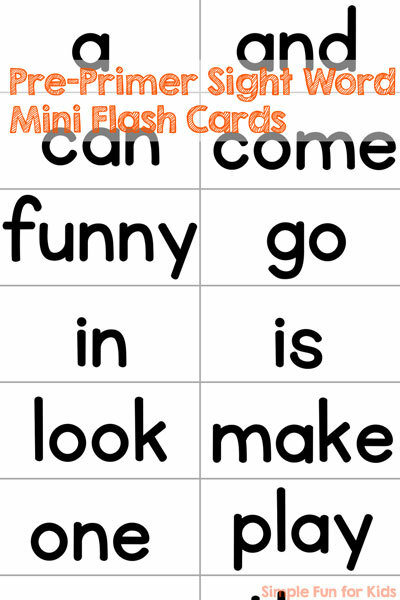 This is a quick and simple printable to use if you need sight words on smaller slips of paper: Pre-Primer Sight Word Mini Flash Cards! The printable has all 40 pre-primer sight words on one page. Cut the mini flash cards apart at the lines and use them however you see fit. Download your Pre-Primer Sight Word Mini Flash Cards! Looking for Ideas to Practice Sight Words?